Nowadays when the internet is widespread in almost all countries, playing lotteries is easy like never before. You can play global online lotteries from the comfort of your home without having to travel. After buying a ticket all what you have to do is to find a suitable website, pick your numbers and place the ticket. 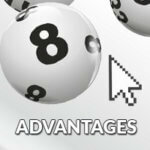 Playing lotteries over the internet is becoming increasingly popular. As of today, more than 50% of tickets are sold online. The reason is simple: it’s easier, faster and much safer. In this special category, you will find all information about online lotteries. You will see what websites offer online lotteries, how much safe they are, how all this works and, plenty of further news and articles from this industry. In this paragraph, you will find list of lottery operators – tested, proven and safe – offering online lottery tickets. Thanks to our lottery passion, we strive to promote the best online lotteries for the benefit of the visitors to our website. A large part of our reviews reflects our personal experience as well as the experience of other website visitors. You can see it in the comments under each review. Our first priority is to keep the list of all top online lotteries up to date so that every player can bet from the comfort of their home regardless of the whereabouts. Our team testing individual lottery operators is composed of lottery fans and experts exploring the safety of websites and, naturally, of you, the visitors to our website lottomag.com. In this section, you can find a list of information subject to our exploration and described in our reviews. First of all, we explore the safety of each website taking into account our experience in areas such as paying out of prizes, communication with the lottery’s support team and feedback from the betting community. Secondly, we review the user-friendliness of each website, the type of lotteries offered by each operator and, last but not least, the method used for encrypting your personal data. Finally, we focus on all other lottery details. Our reviews describe special services offered by each operator, loyalty schemes for its customers and many more services instrumental in selecting the right lottery operator. For each tested and recommended operator we have developed a pictorial guide to help you in your decision-making process. Each review includes a set of instructions for the user to create a user account, to bet on favourite lottery jackpot and, in case of success, to collect the prize. The most popular and frequent type of lotteries online is lottery betting. This is a type of game when you bet on the results of official lottery draws. Winners get prizes of the same size as from the official lottery. Small winnings are paid out by a lottery organization from its own pocket. When it comes to big wins, the organizations follow a business model called ILS (Insurance Linked Securities). In a nutshell, the lottery company insures all your ticket with an insurance company in case you win. All winnings are then sent to your player account, from which you can transfer them to your regular bank account. The only company that uses this system is theLotter. 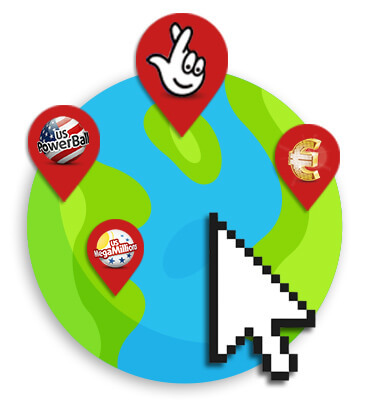 theLotter buys lottery tickets from licensed retailers in countries where your chosen lottery is played at 25 branches. Having purchased the ticket, an authorized company rep will scan the ticket for you. The scanned copy of your ticket, a proof of ownership, will appear on your player account. Once scanned, the ticket is placed in a safe deposit at the local branch. This is called messenger service, very much like when you order a pizza. Pizza in your case equals a lottery ticket delivered via your player account and e-mail. Like the previous one, this system is very popular provided that you are willing to pay some small charge for the mediation of the service plus tax in the country where the lottery is organized. The last type of playing lotteries online is to buy tickets from a lottery organization’s website. Simply visit the official website of an official lottery organization, get registered and buy your chosen official ticket for your favorite lottery. Yes, it’s 100% safe. I daresay that it’s safer than to buy a traditional paper ticket from a retailer. Those of you who bet online don’t face any risk of having an accident on the way to a retailer. You can never lose or misplace your ticket. All your tickets are stored on your player account registered under your name, address and ID pass. All companies organizing lotteries in the UK must be regulated and licensed by the UK Gambling Commission. The Commission is responsible for the regulation of gambling and the compliance with relevant legislation. Register you player account. Always use truthful data. According to the UK Gambling Commission’s regulations, within 3 days from the first deposit or the first bet you must verify your identity by sending a copy of one of your ID documents. Select a lottery jackpot you want to bet on. Pick your lucky numbers and use some additional options enabled on the ticket such as the number of games in a row, days in the week etc. Choose your preferred payment method, pay and wait for the result of the draw. Tip: The easiest and fastest way is to pay by card. Compare your picked numbers with the drawn numbers. Some companies take this step for you automatically and send you the information by e-mail. If you don’t succeed don’t despair and repeat your attempt next time. If you win you can kick off your celebration. If you are insecure about how you would do in a live lottery try out to register on Lottoland and you will get 1 Euromillionaire line. Taking a few seconds of your valuable time, this will help you test the easiness and availability of betting on lotteries jackpots online. Ideally, you can win a jackpot of your dreams. Don’t let this chance slip through your fingers!